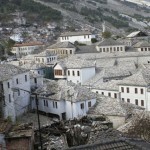 Tens of historical buildings in Gjirokaster guarded by UNESCO are either in risk for demolition or partly destroyed due to lack of care from owners, abandonment and bad atmospheric conditions, such as snowfall and humidity. TIRANA, Jan. 16- Gjirokaster is one of the oldest cities in Albania. From historical documents dating from 14th century we learn that the city was part of the Byzantine Empire, and was name Argyrokastro. The name in Greek means Silver Castle, and that can be relevant as the city itself lies overlooked by a fortress, one of the most well-preserved castles in Albania. The old town of Gjirokaster became a UNESCO World Heritage Site in 2005 as “a rare example of a well-preserved Ottoman town, built by farmers of large estate”. 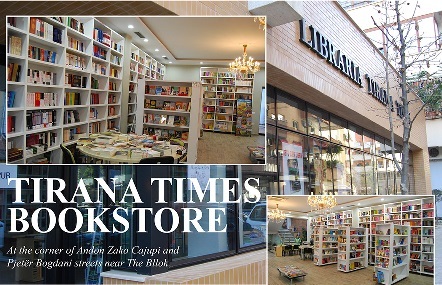 More than 500 objects are categorised as a great treasure, not only for UNESCO, but also for Albania, considering the city’s life-long history. However, a number of these houses are in critical conditions. “During these years, especially after years ‘92 a part of these building haven’t had a proper safeguarding. These abandoned houses, left outside their owners’ attention, after some time became amortized. The aggravated atmospheric conditions have also influenced in their impairing and degradation,’’ said Vasil Polo, director of Cultural Monuments. 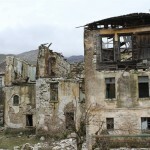 The economic difficulties of the owner for preserving the buildings or their overall abandonment has affected the destruction of one of Gjirokanster’s and Albania’s historical values. 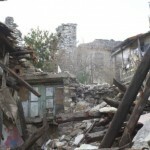 If this situation prevails the characteristic UNESCO protected houses will turn into photographed memories and ruins. 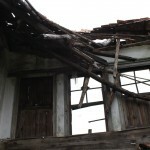 The snowfall and bad weather have also negatively influenced the conditions of endangered buildings. The characteristic buildings especially in the upper part of the city, which is considered as an historic zone, are being ruined due to amortization. The continuous collapsing of roofs and stone walls are threatening both the lives of the families living inside these buildings, and the loss of indisputable and induplicate values. The uninhabited premises have higher demolition risks. Just in the past five Gjirokaster has lost historically significant buildings of the first category, like the cultural monument Lolomani house, with an age of 156 years. This house is part of the Kabili house, two historical residences at the Old Bazaar. Other historical residences which were standing in the past decade, like Selfates’, Litos’, Topullis’, Haderajs’, Kuvanis’, etc., are now in crumbles. The roofs are the most risked parts of the buildings during the winter, from the humidity and snowfall. Experts evaluate that the humidity doubles the weight of already amortised roofs, which also puts under risk other historical residences. 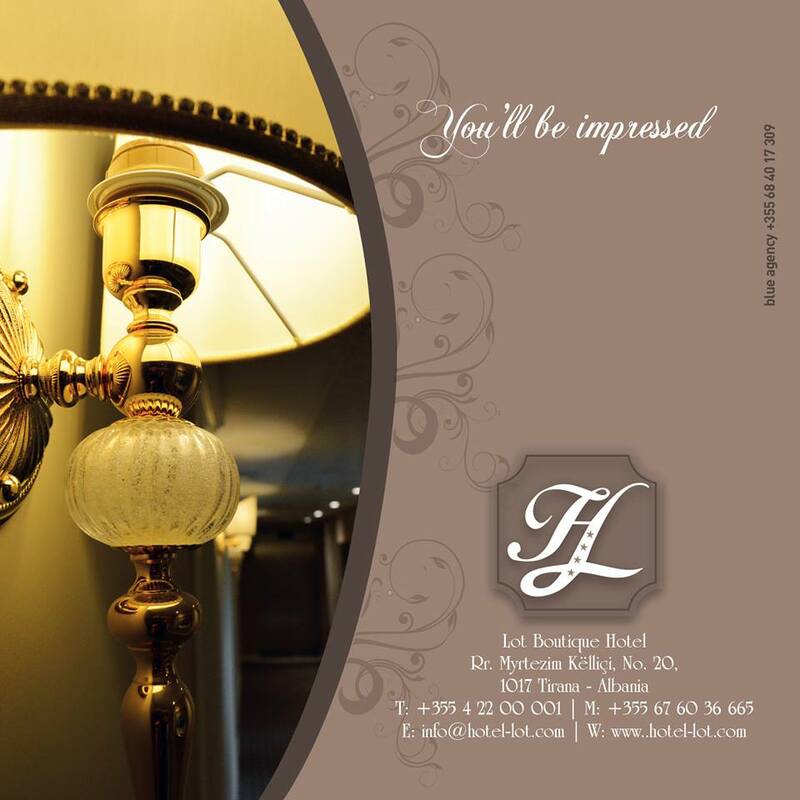 Polo said that an inspection of the total inventory of residences in historical neighbourhoods has started. He said that the main concern in creating and solving this issue is the recognition from many owners who fail to find an agreement language, and thus leaving these houses in ruins due to lack of investment. 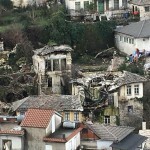 According to Polo, the solution of the ownership problem would prevent this devastation, but this specific issue for Gjirokaster requires a political intervention. “This is a problem to the ownership solution of these houses, which is politic. The parliament should decide how will the government administer these abandoned buildings, which cannot be left in this condition,’’ said Polo. Regardless of the investments made in some building complexes and restoration of the Old Bazaar at the historical center, according to experts the muzeal part of the city is in dramatic conditions. This comes due to gradual devastation which is moving on a faster pace than the restoration processes, turning valuable architectural building into ruins.